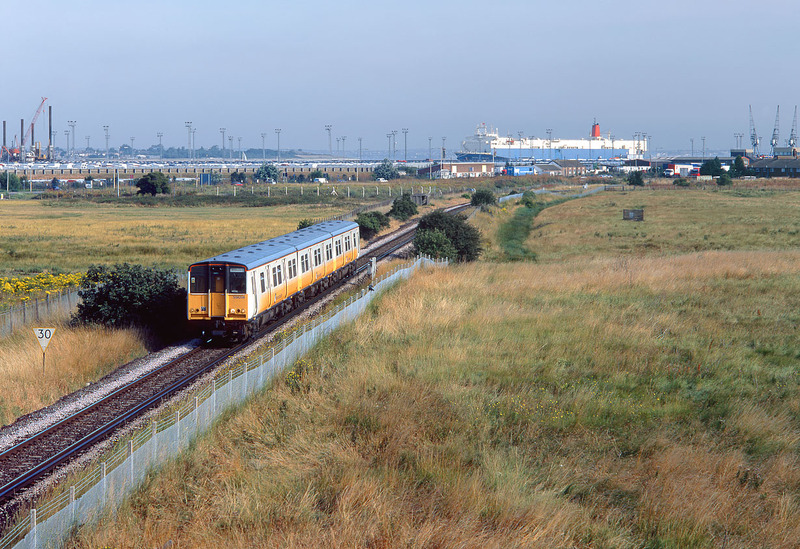 508208 approaches Queenborough on 16 July 1999 with the 08:37 Sheerness to Sittingbourne Connex South Eastern service. Sheerness Docks dominates the background. Class 508s are mainly associated with Merseyside, but in 1996 Connex leased 12 units, some of which survived in use in Kent until 2008.